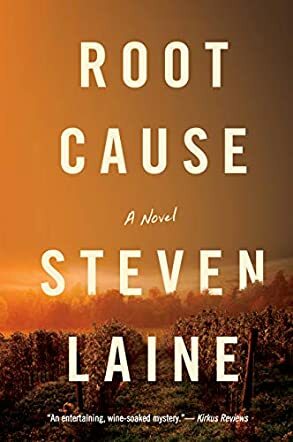 Root Cause by Steven Laine follows the story of Corvina Guerra, a flying winemaker who has always dreamed of getting settled and running her family vineyard in Italy. When it’s time for her to start living this dream, she makes a disturbing discovery — an aphid called Phylloxera that devastated vineyards in Europe a hundred years ago is back and has infested the vines. With Bryan, she sets out to uncover the root cause of the menace, convinced that Universal Wines holds the answer to the problem. It is a journey that leads from one troubling fact to another and soon Corvina finds herself racing against time to save the global threat to the wine industry. Can she and Brian get to the root of the problem before it is too late? This is a novel about problem solving and the reader encounters compelling characters who are so passionate about a cause they’ll stop at nothing to make it work. The narrative starts with an interesting premise — a woman who sees her life dreams threatened by a pestilence and looks past her fears to see a problem that may destroy an entire industry. The narrative is done in a very simple style and the prose is fluid. Steven Laine introduces the protagonist and the problem right off the bat and arouses the curiosity of readers. The crisis is introduced with the negative reviews about a winery she is about to visit, and it escalates quickly. Root Cause tells an intriguing story about vineyards, with relevant insights on handling concrete situations in life. I enjoyed the prose, the complex characters, and the surprises that filled the plot.